Best known for playing Vanessa Hart on the soap opera Sunset Beach from 1997 to 1999 and Natalie on FX's Rescue Me. 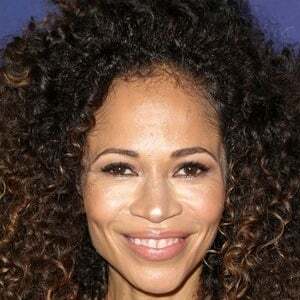 In 2013, she began playing Lena Adams on the ABC Family series The Fosters. She was discovered as a model while in high school and got her start at a Model Search America convention in her native Ohio. She became a member of the American Society of Composers Authors and Publishers after writing a song for an episode of Charmed she appeared in. She married One Live to Live actor Kamar de los Reyes in 2007, and in 2014 they welcomed twin boys. She appeared with Gabriel Byrne in season 2 of HBO's In Treatment.